Claire desperately wants to find her missing father to discover his reasons for living A Double Life. Claire was only eight when her father bludgened her live-in babysitter Emma to death and attempted to do the same to her mother. After her mother escaped the house, her father disappeared. When she is told he may have been found, Claire reminisciences about her mother and father’s romance and life before the crime. Claire’s father is the first British Lord accused of murder in the 20th century. He and her mother were separated and planning to divorce before the incident. Could her mother have set up the crime to keep her father’s wealth? A Double Life begins slowly with a very long flashback about how Claire’s parents relationship began. If I hadn’t been reading this book to review it, I probably would have stopped reading as it was boring and seemingly pointless. The book does have an eventful conclusion. However, the overall melancholy feel and depressingly dark inevitability was just not for me. 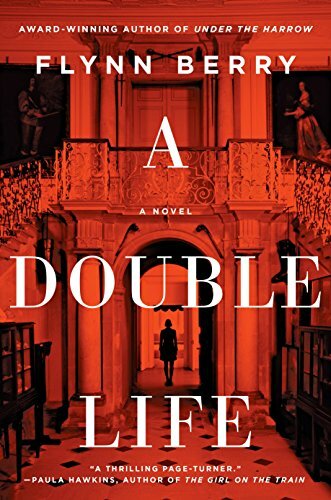 A Double Life is recommended to those readers of literary fiction who enjoy escaping into someone else’s, so much worse, life. 3 stars. Thanks to the publisher, Viking Books, and NetGalley for an advanced copy.